A small-town girl with a genius IQ, she achieved an enviable life: her own medical practice, a handsome physician husband, three perfect children, and an opulent home in an exclusive Kansas City suburb. But when a raging fire destroyed that home and took two lives, the trail of clues led investigators to a stunning conclusion. Piece by piece, Ann Rule digs beneath this placid Midwestern facade to unveil a disturbing portrait of strangely troubled marriages, infidelity, desperation, suicide, and escalating acts of revenge that forever changed dozens of lives.This book journeys inside the twisted mind of a killer, Dr. Debora Green, after the cancer specialist was arrested for the arson murders of two of her three children and the attempted poisoning of her estranged husband. This is definitely one of Ann Rule's better books.Deciding on Ann Rule's best books is very hard to do as all of her books are really good.In fact I think I might have read all her books and to date found one only which I would say I didn't enjoy so much.This was more based on the actual story itself which was of a young man who robbed banks. True to form,Ann Rule delves very deeply into the background of the main characters in the book.I love that as it helps me come to my own conclusions and raises a lot of questions which I try to solve as I read through the book.This one got me a bit worried as the murderer Debora Green loved reading and reading true crime books,no less.In fact the one copy of a true crime book on her nightstand raised a few questions for the investigators.I found myself thinking about a lot of what ifs? What if I was ever unwittingly involved in a crime,would the investigators suspect me immediately because I read true crime books? ?Luckily those were just thoughts while I was reading.When I was done reading,and realising the massive amount of proof they had before they even arrested her,my worried thoughts were put to rest. I read somewhere that highly intelligent people are inclined to be a bit mad,hence the saying "nutty professor".Couple that with the fact that there is a very thin line between sanity and insanity (or is that love and hate? ).Never mind,I think it applies to both examples.Try and think back to the really intelligent kids in school who,for me, all seemed very strange and anti social.Then as I grew older and started learning stuff from reading I also found out that you can only get along well with people who are 10 IQ points below or above your own IQ.I can now understand why they would not have so many friends.I think the list of possible friends gets very thin there in the top IQ range. BUT this Debora Green with her high IQ also had a very intelligent husband who did not murder his children.This woman was pure evil and I don't think evil is allocated according to any IQ.After trying for so long to poison her husband,she then set the house on fire.Here is the true tragedy.Her son who could have easily jumped from his bedroom window into the pool chose to listen to his mother who told him to stay in his room until help got there.He subsequently died of smoke inhalation.Lissa,the one daughter,managed to climb out onto the roof and called out many times to her mother who eventually decided she better walk closer to the house(Debora Green was outside the burning house and safe the whole time)where she then told Lissa to jump.Lissa jumped and her mother let her fall at her feet,probably hoping the fall would hurt her.Luckily she survived.Little Kelly,the other daughter also perished in the house.I want to see what type of mother,whose house is burning,gets out the house and leaves her children inside,and then calmly waits outside for help.Not in my world do I know any mother who would react like that. 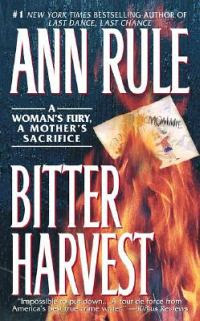 This book was brilliantly written as all Ann Rule books are.I would definitely recommend this book to any true crime reader. I could never get into Ann Rule. I ended up doing a box of books swap on Paperbackswap and I got a whole bunch of her books. I tried reading 3 of them and I just could not get into them. I know a lot of people really like her writing but I found that she dragged things on and on.. I ended up giving all of the books away I had of hers. Hey Trishalynn.this just shows how different people are.I love Ann Rule.Have you tried Kathryn Casey,Diane Fanning and Tina Dirmann. 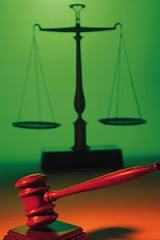 Kathryn Casey is more emotional(she really bonds with the victims' families),Diane Fanning loves to find parallels with different crimes,and Tina Dirmann seems to have a strong male influence in her writing as in not so much emotion.I enjoy their books a lot as well.Or do you prefer male true crime writers? Gosh, if I didn't know this was a true story I would think it was too way out there for anyone to behave this way! The grass isn't always greener on the other side! Great review! Thanks for posting this one! Sometimes you miss an authors older books when you start following them so many years down the road! I haven't read this one, yet, but I do have it on my TBR pile! Suzanne read this one if you can.It's really good and LuAnn put this one on top of your TBR pile.I guarantee you will enjoy it! Wow, somebody doesn't like Ann Rule! She's my favorite true crime author too. She has such good insight...of course, who wouldn't if they once worked beside Ted Bundy! Yvette_Kelly, you make this book sound really interesting! Of course I love any story that takes place in the midweest! I love Ann Rule - for a while she was my first read of the year every year.... I have no idea why, it just became tradition. Hi Yvette, confusing I know, but let me break down some of these regions. The U.S. 48 out 50 states has the WEST, and the EAST and in between is considered the MIDWEST. When they speak of the south, that is usually from like Texas to Kentucky to the Carolinas and all points south of that. So Kansas City, where "Bitter Harvest" takes place is a large metropolitan city (about 1 million people or less) situated on the western border of the state of Missouri, but also flows right into the eastern border of the state of Kansas. I live near St. Louis, Missouri which is on the eastern border of Missouri separated from the state of Illinois by the Mississippi River. St. Louis is home of that big "Arch", which sits on the banks of the Mississppi River and is considered a landmark that is "the Gateway to the West." My geographic location is right in the very center of the country. Another interesting tidbit...as far as trends, the midwest (and most of the south, except Miami, Florida) is always LAST, when it comes to fashion and music trends, etc. Los Angeles on the west coast and New York City on the East coast tend to set the pace and trends for the total United States. Another thing about "Bitter Harvest," which takes place on the KANSAS side of Kansas City, is that it probably gets it's name from the fact that Kansas is a BIG farming state with much of the nation's wheat coming from Kansas (also corn and soybeans, but mostly wheat). But the castor beans that this womman uses to poison her husband is not something that is harvested. The castor bean is simply like an ornamental landscaping plant, which grows very large beautiful leaves and can quickly grow into a 20' or taller tree in one season (Spring to Fall). It is an annual, meaning it must be planted annually or it won't grow. You may have heard of some terrorists in London a couple of years ago being arrested for attempting to make a deadly chemical weapon grade of poison called Ricin. This is what the wife & mother in "Bitter Harvest" was trying to do. Ricin is made from Castor Beans. Strange, since you can buy castor bean seads anywhere that sells flower seeds, and yes they are highly poisonous if ingested. I'm not sure, but I don't think the beans themselves would kill a man. I think there is some kind of process that turns the beans into the deadly Ricin. To poison with castor beans would be like trying to get high on poppy seeds just because poppies are used to make heroin. Plus I think this poison is highly traceable, so this smart, educated woman really must've lost her mind to do this! Hope I didn't spoil the book too much for people! Hey watch my blog, I will post a photo of a beautiful castor bean plant in a St. Louis park! Cecile,back at last...you have been busy..thanks for stopping by.Try and read this book,I enjoyed it.It's a bit old but not dated at all.. Going to see if I can find this one at the library! I enjoyed this book alot too. Rule really knows her terrain and this story is compelling. My one small nit with it is that I did not like the husband. Otherwise, this is a terrific book in the genre. Thanks for spotlighting it! I just love Ann Rule... I was looking at what you had read by her. Stranger Beside Me is probably my favorite as it was so interesting that she was friends with Ted Bundy. I needed that comment about people only getting on with others who have IQ's within 10 points of their own. Once I was chatting to a guy I just met and I said to him that I knew he had a high IQ because I rarely find it that easy to talk to somebody, and guys are rarely that interested in me, and he said his IQ was 139. I once tested on a Mensa test at 146, which according to some people is rubbish but you really notice it in other people, it is really important. Probably worse for women because there are a lot of pompous professional middle aged men with IQ's below 139 who I find always try to run me down. And not a drop to drink.